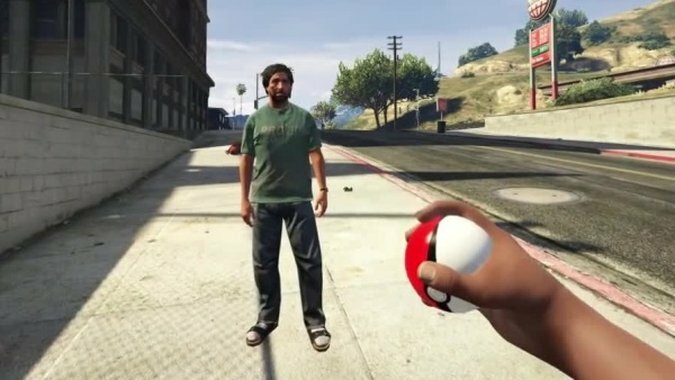 With the insane popularity that Pokemon Go is enjoying right now everywhere in the world, the news of a Pokemon mod for GTA 5 shouldn’t come as a huge surprise, but it still does. I mean, OK, I can understand that you can basically twist any type of game as a mod in basically any game out there, but this was still unexpected. And, strangely, fun because the twisted version of Pokemon that you can play in Grand Theft Auto 5 thanks to this mod makes Pokemon (Go) as GTA as possible – if that makes any sense. You gotta catch ’em all in this mod, but you don’t get to keep them or fight other trainers. All you can do is to throw Pokeballs at unsuspecting passers-by and collect them inside the ball. Which, soon after, explodes into oblivion and magically releases the frightened person you have just collected back into the wild. And you can do this over and over again without any particular reason. If this sounds fun, you can download the mod here. Apparently, you can even have the poor souls you have collected inside your Pokeballs fight on your side!